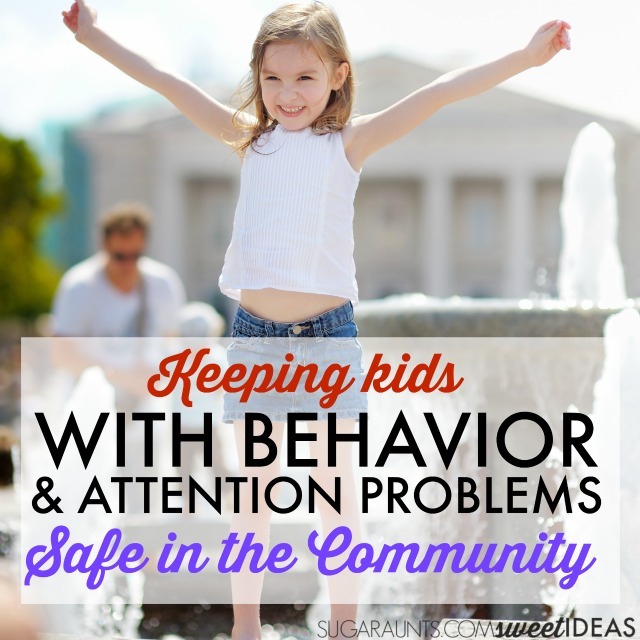 Children with attention or behavior difficulties can flounder when they are out in the community. There are so many unknowns when a child steps out of his front door and into an unpredictable environment that is the community. A child has typical routines in his home or classroom. He has predictable and familiar habits in the car or school bus. But, when it is time to move to unfamiliar locations in his community, it can overwhelm the child with attention or behavior problems. Children are guided by parents and adults as they function in the community. They are led through the grocery store, overseen in the library, accompanied across streets, and attended to in the public restroom. But sometimes, kids have difficulties that prevent an effortless outing. 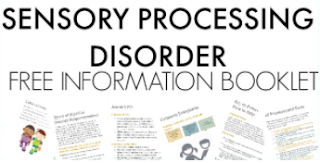 Inability to focus, impulsive actions, lack of awareness of one's self, of others, or the surroundings, risky behaviors, and hypersensitivity to sensory input from the environment might lead to difficulties in the community. Behaviors in public spaces can be considered obnoxious or inappropriate and while they might be easily corrected through a behavior plan and recurrent within the family, they could be misconceived by the public who are also sharing the space. Sometimes, behaviors in the community lead to unsafe situations. Attention concerns in the community can also lead to safety issues. A child who has difficulties maintaining attention could put themselves at risk. Attention requires an ability to respond to priority information while disregarding and inhibiting simultaneous sensory input. 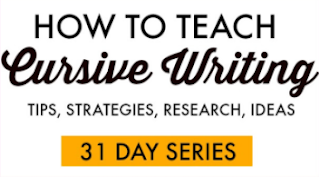 This concept of attentional ability coincides with an individual's cognitive, sensory, and physical abilities. Constantly forgetting things or difficulty focusing can be a result of several diagnoses or learning issues. Attention problems can result in poor processing of information or difficulty with filtering out important information. Behavior and attention difficulties that limit ease in the community could be a result of sensory issues. There are endless possibilities of public spaces that make up child's community. Each situation will be different and the way that the child interacts with that location will be unique. Therefore, it is essential that a community assessment be preformed for each individual child. Given a through evaluation of the child's community environment, modifications and adjustments can be put into place. For adults with attention or behavior issues, there is much work to be done following an assessment of the community. Many goals can be written regarding community reintegration for functional independence in the community. 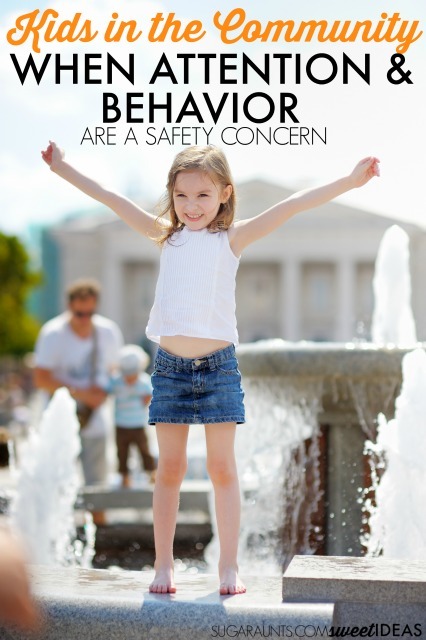 For the child, concerns of safety for the child and others are a primary concern. 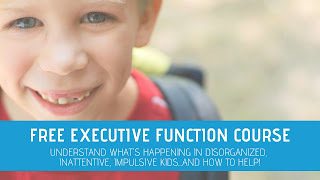 Functional independence may be limited by behavior and attention difficulties. As they age, kids should be expected to perform more and more community skills on their own. The older child with attention or behavior problems will need strategies designed to maximize independence. Prepare the child for what's ahead. Discuss the day's plans, stops in the community, and what needs to be done at each location. Visual Schedules can be used for each community location or for a day's list of community interactions. Address visual memory, decision making, or motor skills that may interfere with safety in community mobility. 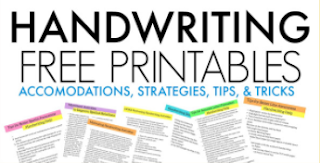 Address strengthening of executive functioning skills in order to pay attention to tasks, plan, prioritize, and initiate tasks. When a child with attention or behavior problems has a tendency to run away from parents or bolt away, there is a real safety concern. Given a large crowd of people or a busy street, safety is priority. The above strategies should be used in safer conditions. One community safety tool that is controversial among parents and non-parents is the safety harness. Called a "leash", it can be a source of discontent among those with and without children. A child safety harness can be a valid tool for those children who have a real safety risk. A child could could run away from parents given sensory concerns, cognitive reasons, behaviors, fearlessness, age, or impulsivity and inattention. 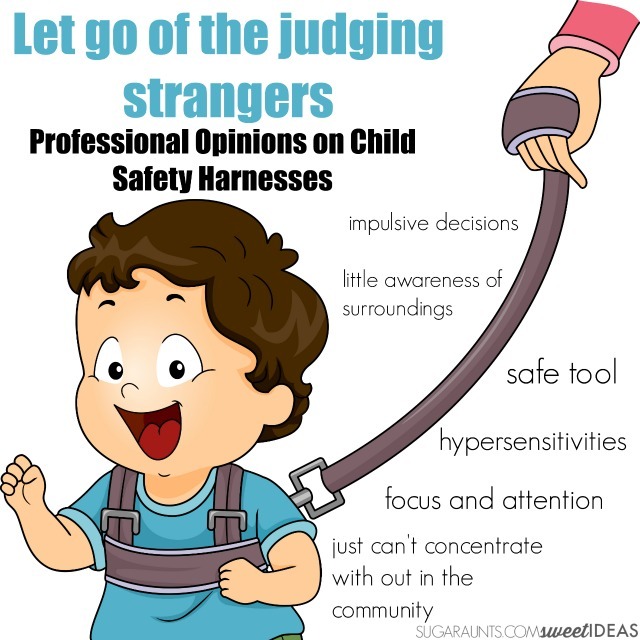 Regardless of the reasons, a child who potentially run away from parents in unsafe conditions could use a child safety harness and to reduce fears of the parents in community settings. Given the sensory input that an outing in the community provides, a safety harness can add the right amount of proprioceptive input for the sensory overloaded or impulsive child. That deep pressure through the chest can calm during the outing. For the child with attention or behavior difficulties, they might use the above strategies to improve safety when crossing the street. Parents could prepare the child for what's going to happen as they approach the street. 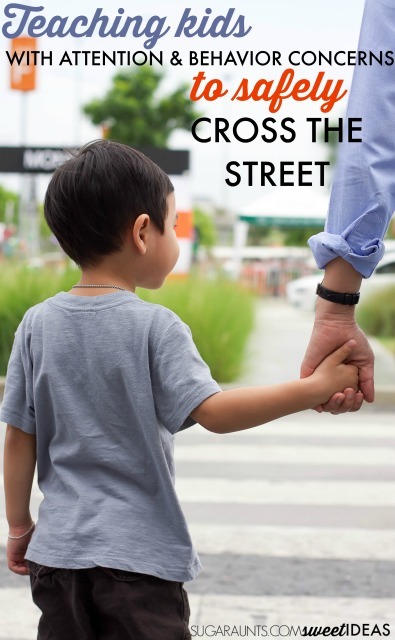 A visual schedule could be provided to show stopping, looking both ways, holding an adult's hand, and walking across the street at the corner. Visual memory and decision making could be addressed through practice and social stories. Visual and verbal cues might be used to promote independence and improved safety. Rehearsal of crossing the road could happen on a lawn followed by on a quiet street. Children can practice the skills needed to plan and prioritize crossing the road in a safe manner by verbalizing the steps. Positive reinforcement can be used for safe crossing. 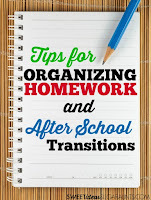 Looking for more core strengthening activities that can help kids learn to pay attention? 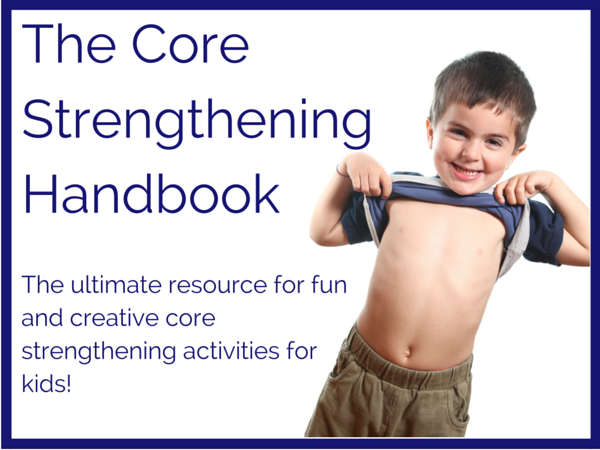 Get your copy of The Core Strengthening Handbook! Get it here.